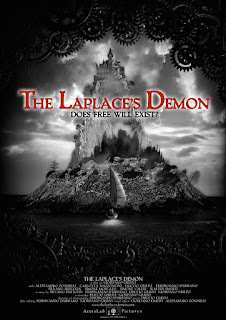 I Have Plenty of Horror-Related Reading and Listening for Your Halloween Pleasure! 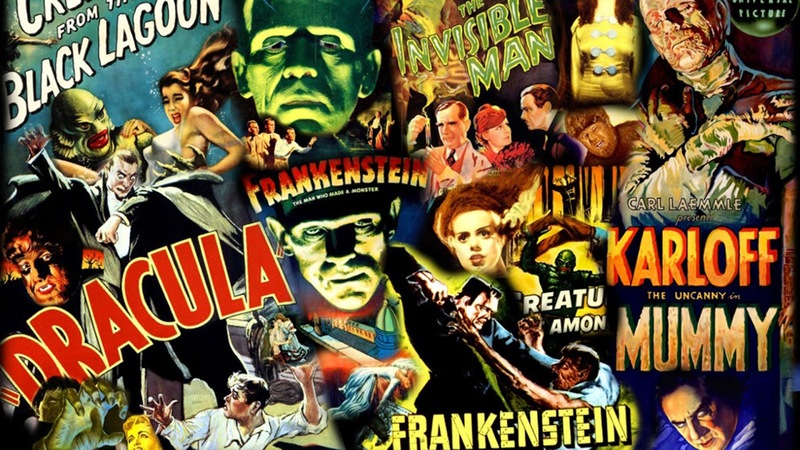 For When It Was Cool's Monster Month theme, My Uphill Both Ways podcast co-host Mike Imboden and I tackled our childhood Halloween memories in episode 13, and favorite monster movies and horror hosts in episode 14. Give them both a listen here! 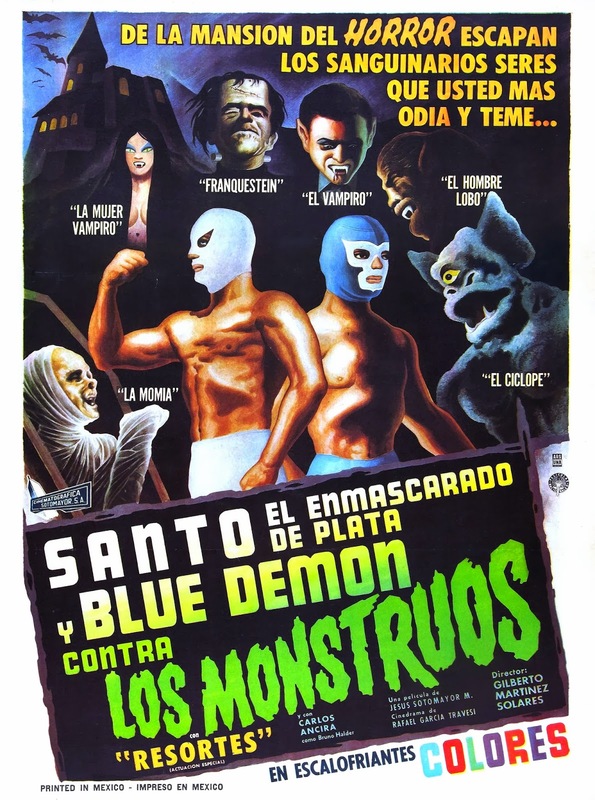 Mike joined my usual Decades of Horror: The Classic Era podcast co-hosts for our episode tackling Santo and Blue Demon Against the Monsters. This movie is so much fun, and we all had a blast discussing it! You can listen to it and all of our other episodes here. 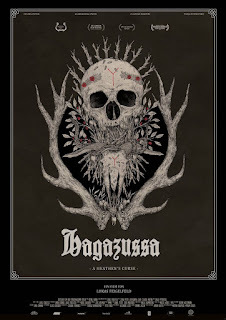 Over at the That's Not Current website, I have recently covered the Brooklyn Horror Film Festival, reviewing the haunting Hagazussa: A Heathen's Curse and the psychological chiller Veronica here, and Clementina, in which real-life horrors collide with the supernatural, and Game of Death, a gory effects showcase, here. 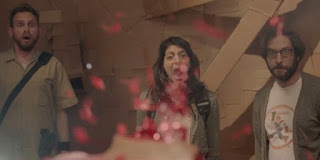 I've also reviewed the new Australian chiller 3rd Night, which is currently making the film festival rounds, here, and written the article "Six Films to Salivate Over at the Inaugural Cinepocalypse Film Festival," which you can read here. 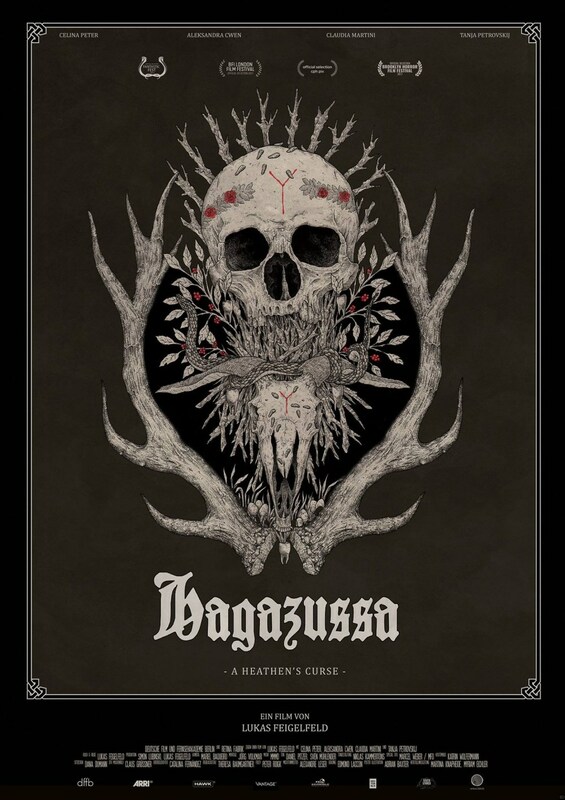 I also reviewed four films from the Brooklyn Horror Film Festival for When It Was Cool. 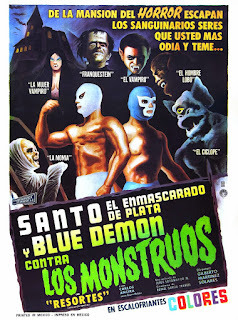 Part one of my coverage looks at Mexican found footage shocker --- shot on super 8mm! ---1974 and coming-of-age vampire tale Salvation, and part two features The Crescent and I Remember You, which share the themes of grief by the seaside, but in quite different approaches. 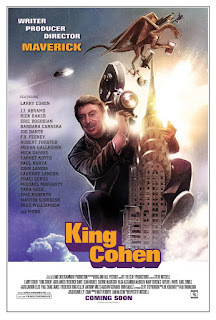 For Gruesome Magazine, I recently reviewed the wonderful documentary King Cohen: The Wold World of Filmmaker Larry Cohen and wrote another Cinepocalypse preview article, looking at eight different films from my That's Not Current preview. The Fall 2017 edition (issue 104) of Phantom of the Movies' Videoscope magazine is on newsstands now, and features two "Best of the Fests" articles by yours truly. One is on Montreal's incredible Fantasia International Film Festival, and the other is on South Korea's Bucheon International Fantastic Film Festival. I proudly wrote the latter one with my son Cohen Perry. 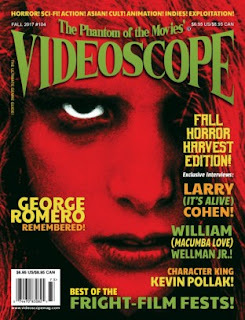 If you can't find the magazine at your favorite local brick and mortar bookstore, you can order it directly from videoscopemag.com. 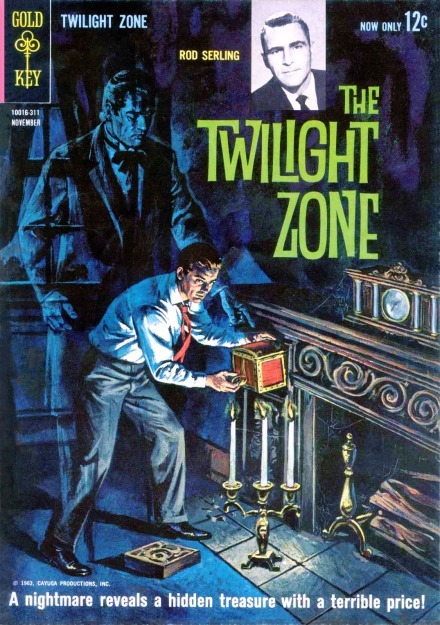 Join Me for Looks at Gold Key Comics' "The Twilight Zone," Godzilla Movies, and 1970s-1980s Professional Wrestling! Hello! 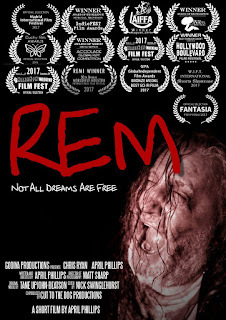 Although I am swamped with ongoing film festival coverage (not complaining, mind you; I'm having a blast checking out tons of great new genre films), I have made time for a few other projects. My Uphill Both Ways podcast co-host Mike Imboden and I always have a blast recording our shows, and we hope our listeners have fun listening to them. 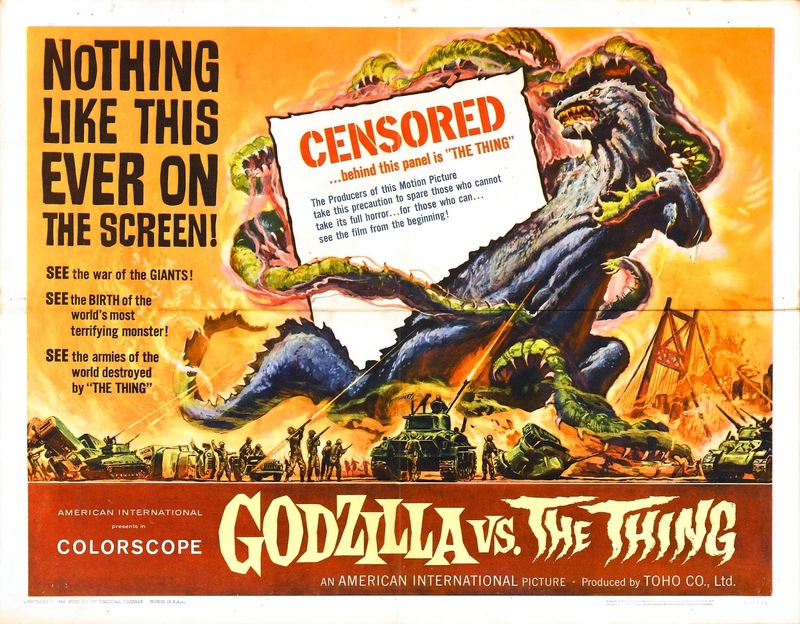 Episode eight takes a look at some of our favorite Godzilla movies, while episode nine focuses on our favorite professional wrestling memories from the 1970s and 1980s. Have a listen at http://www.whenitwascool.com/up-hill-both-ways-podcast. Thanks for checking in! More next week! This week is a big one for two reasons: Two films that are destined for many "Best of 2017" lists have just been released on VOD, and Gruesome Magazine has announced a new review format with short audio reviews. I first saw the indie vampire horror drama The Transfiguration at South Korea's Jeonju International Film Festival in May and really loved its unique approach to vampire cinema. 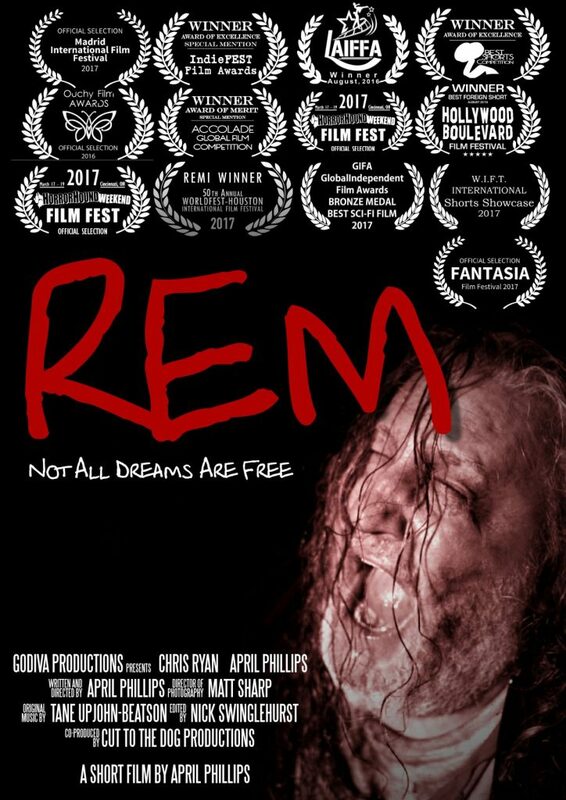 It is now available on VOD and well worth seeking out. Here's my When It Was Cool review: http://www.whenitwascool.com/the-transfiguration-review. One of the most unique, fun films of 2017 is the sweet, humorous Dave Made a Maze (pictured above). This quirky comedy with a huge heart is filled with loving homages to horror, fantasy, and adventure films and has some of the most intriguing set designs in recent memory. Here's my Scream review: http://www.screamhorrormag.com/dave-made-maze-film-review-popcorn-frights-2017/. On our brand-new episode of the Decades of Horror: The Classic Era podcast, my co-hosts Jeff Moore, Erin Miskell, Chad Hunt, and I honor the late, great George Romero with a look at his iconic film Night of the Living Dead. We share our memories of first-time viewings and look at the film's historical and cultural significance. Join us! 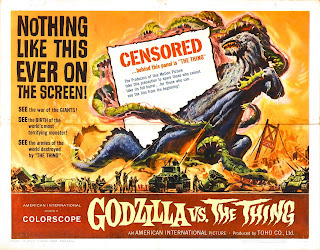 On the brand new episode of the Uphill Both Ways podcast, co-host Mike Imboden and I discuss Godzilla --- our introductions to Godzilla, our favorite Toho movies, childhood toys, and more. 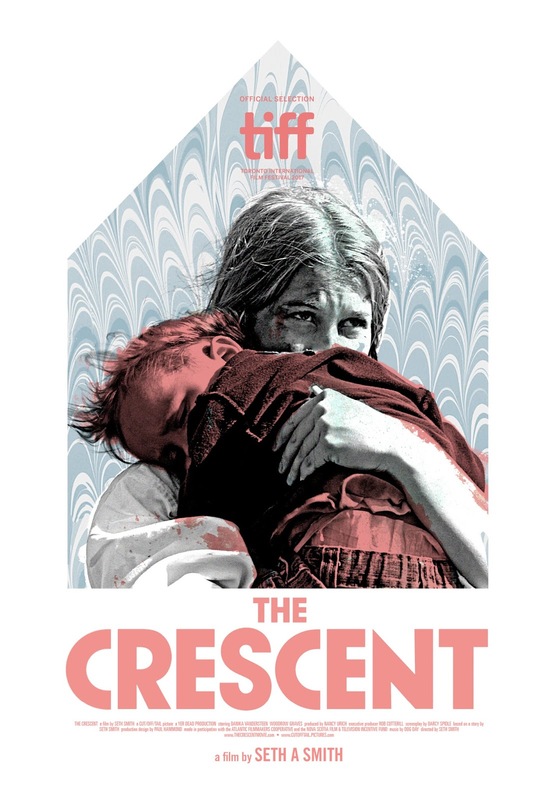 I also talk about some of my favorite films from both South Korea's Bucheon International Fantastic Film Festival and Canada's Fantasia International Film Festival, both held in July. Speaking of those two festivals, I have written several reviews of films screened there, including one for the fantabulous Italian offering The LaPlace's Demon for When It Was Cool, and reviews for Christmas-themed chiller Better Watch Out and science fiction mind blower Sequence Break for Scream Magazine. The next two weeks are busy ones for yours truly, so expect more updates soon! Join the "Uphill Both Ways" Podcast for a Trip to the Drive-In Theater! 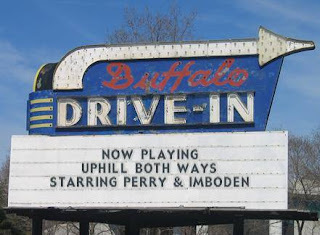 Co-host Mike Imboden and I wax nostalgic about nights at the drive-in theater on the new episode of our Uphill Both Ways podcast. Join us as we talk about films we saw there, snack bar food we ate there, and other fun memories. We also go off on a side trip or two including lake monsters and paranormal interest in the 1970s. I am an expat American freelance writer and podcaster who has been living in South Korea since 2008. I am a writer for "Gruesome Magazine" (gruesomemagazine.com), That's Not Current (thatsnotcurrent.com), When It Was Cool (whenitwascool.com), "Phantom of the Movies' Videoscope" magazine (videoscopemag.com), "Scream" (http://www.screamhorrormag.com), and "Diabolique" (http://diaboliquemagazine.com). I am one of the hosts of When It Was Cool’s exclusive "Uphill Both Ways" podcast (whenitwascool.com/up-hill-both-ways-podcast/) and Gruesome Magazine’s "Decades of Horror: The Classic Era" podcast (decadesofhorror.com/category/classicera/). 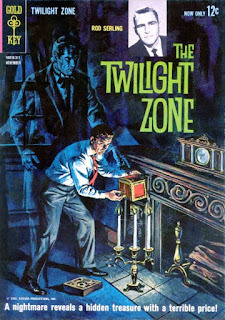 I am also the foreign correspondent for the "Horror News Radio" podcast (www.docrotten.com). 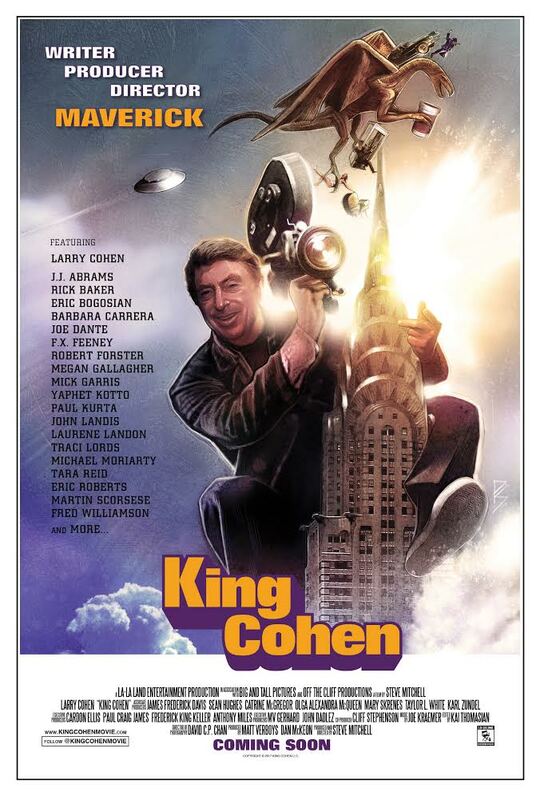 My film articles and reviews have also appeared in "Filmfax" and "SQ" magazines, and at horrornews.net.